Just because a name is similar to a large, reputable company doesn’t mean it’s actually associated with that company. Check their website to see if they’re actually associated with the company or if they’re freeloading on someone else’s good reputation. 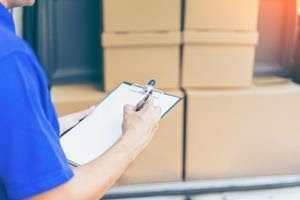 If you need a recommendation for a reputable moving company, let us know! We can help you find your next home and a good moving company to help you settle in.